Fans of Syfy’s supernatural drama “Wynonna Earp” are in for a treat come the show’s season 2 premiere on June 9, so says fan favorite Dominique Provost-Chalkley. “If I thought that Waverly had a huge arc in the first season, it doesn’t even compare to what we have in store this season," she told NBC Out. 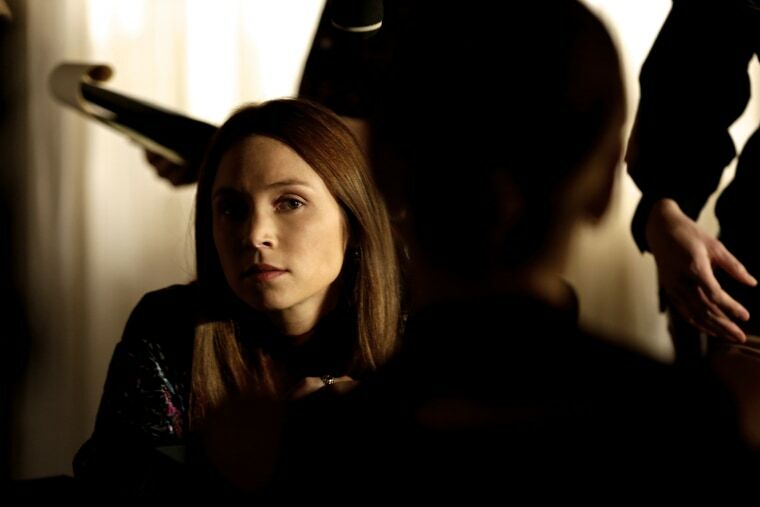 Provost-Chalkley plays Waverly Earp, the younger sister of the show’s title character. She’s also one half of the popular “WayHaught” couple, playing opposite Katherine Barrell’s Nicole Haught. Created by Emily Andras of “Lost Girl” fame, “Wynonna Earp” is based off Beau Smith’s comic book series of the same name. Set in the fictional town of Purgatory, the show centers around Wynonna Earp, the great-great-granddaughter of Old West outlaw Wyatt Earp. It turns out Purgatory is littered with demons and a whole bunch of Earp family secrets, and only Wynonna, Waverly and a new batch of interesting "friends" can get to the bottom of it all. Last season, while she was busy being an excellent little sidekick, Waverly also found herself falling for the new cop in town, Officer Nicole Haught. The two survived the season -- and the “Bury Your Gays” trope -- and came out as a couple to their friends and family in the process. But the season finale brought two bombshells for Waverly fans: she may not even be an Earp, and the mysterious goo she came in contact with means a dark turn for the usually bubbly Waverly. So, what’s 'Dark Waverly' like? “She’s more daring, which consequently ties into her sexuality. But I wouldn’t say that’s a defining factor of Dark Waverly,” she said. Is there a chance Dark Waverly will be mean to sweet, patient Nicole? According to Provost-Chalkley, Dark Waverly’s sticking around for at least the first half of the new season, and her presence is obvious to the audience even in the season premiere. But what’s more, while the actor said she was very excited to play this bolder version of her character, she also noted she felt very passionate about playing out Waverly’s struggle with the possibility of not being an Earp. Fortunately, she’ll have her girlfriend, Nicole, by her side as a source of support. The new season sees their relationship develop. By the time shooting on season 2 began, Provost-Chalkley said she was well aware of how passionate fans were about "WayHaught," and she said she wanted to be respectful of that passion while also trying to not let it affect her acting. “Seeing the passion that has come from the fans, specifically in the LGBT community, was so powerful for me. And it’s hard to ignore that, but in a way I actually think that you have to take it onboard, realize how much it means to people, but then also remember the relationship that Nicole and Waverly have and make sure that you go back to the honesty of that relationship and not let too much affect it from the outside," she explained. “I felt so lucky to be accepted into that community and to be able to share and have a mutual understanding of what’s important," she added. It’s a mutual fondness, and WayHaught fans and Provost-Chalkley have another thing in common: anxiously awaiting the return of “Wynonna Earp.” And on that note, the actor has a promise. Season 2 of “Wynonna Earp” premieres on Syfy on June 9 at 10/9c.